Heritage isn’t merely defined by blood and DNA. It’s about who we are, who we choose to become, and what we take from the past to bring to our individual present and presence. 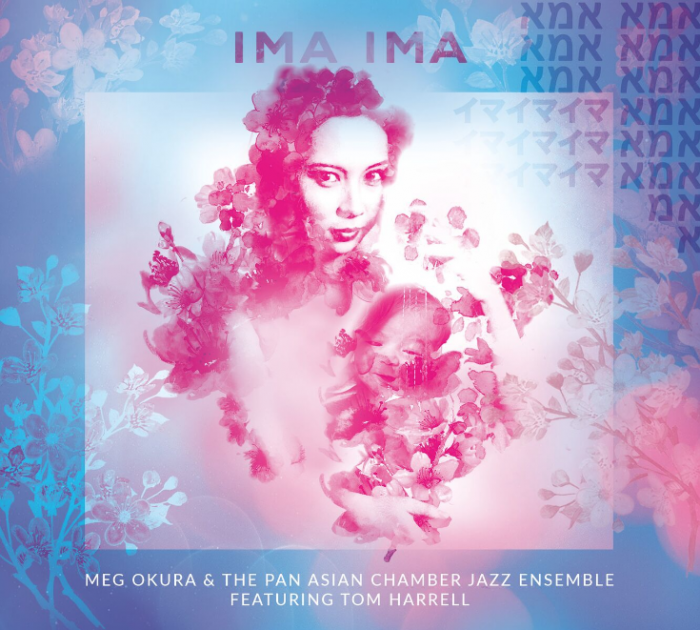 So says this most personal of albums from Meg Okura & The Pan Asian Chamber Jazz Ensemble. “Ima”—the Hebrew word for “mother” and a Japanese word for “now”—stands as a three-letter summation of Okura’s being with its cross-language connections and meaning. It represents her Japanese roots, her embrace of Judaism, and the move into motherhood. In essence, it’s where Okura’s entire life converges. Opening with the dreamiest of title tracks referencing that simple word, she wastes no time getting to the heart of the matter. Flowing lines in five and six, a soaring Sam Newsome soprano solo, and an elegance that speaks to Okura’s footing and bearing all join together on this spellbinding starter. As the remaining tracks come forth, the many facets of this band and the numerous layers to Okura’s mind are revealed. On “A Summer In Jerusalem” the mystical gives way to the mighty odd-metered groove. A vibrant undercarriage supports trippy-turned-beatific happenings as the ensemble spins a love story in the heat and heart of the Middle East. It’s the longest track on the album, and one of several numbers that benefit greatly from the presence of guest trumpeter Tom Harrell. Then there’s the kaleidoscopically-shifting “A Night Insomnia,” a number composed during Okura’s sleepless times during her pregnancy; “Birth Of Shakyamuni,” a five-part tale of Buddha’s arrival (without pause); “Blues In Jade,” a through-composed piece bowing to the sturdiest of jazz forms while remaining in Okura’s wheelhouse; and “Black Rain,” an entrancing number inspired by the literal and figurative fallout from the bombs in Hiroshima and Nagasaki. Then the album comes to its conclusion with “Tomiya,” Okura’s lively dedication to her father. In staying the course with this music as a listener, it’s readily apparent that there are several stars in the show; the writing, Okura’s rich violin work, the sui generis combination of voices in the mix, and the individual soloists—Okura, Harrell, Sam Newsome, and pianist Brian Marsellachief among them—all deserve top-billing. The manner in which all of these aspects and artists magically meld together goes beyond words. Okura and her music are truly in a class all their own.